Situational awareness: "Republican plans to build on last year’s U.S. tax legislation will include making individual and small business tax cuts permanent, expanding savings plans and giving breaks to start-up companies," Reuters reported this afternoon. Facial recognition could be coming to a high school near you, with a western New York school district set to become the first in the nation to match its technology to databases of suspected threats, the AP's Carolyn Thompson reports. Why it matters: This is another example of a school taking a safety measure that sacrifices student privacy as the gun safety debate rages nationwide, Axios' Michael Sykes tells me. Between the lines: Think of the fights over closed-circuit surveillance cameras, school resource officers, and metal detectors. Any change, even for safety, is going to come with major controversy — along with uneven application for schools with more poor and minority students. Flashback: Marjory Stoneman Douglas student and activist David Hogg told me in March that school "is a prison now" because of increased security measures for students. What they're saying: Advocates for the tech say its system — matching a face to people banned from the premises — would have helped identify shooters like Nikolas Cruz as soon as they entered school grounds. 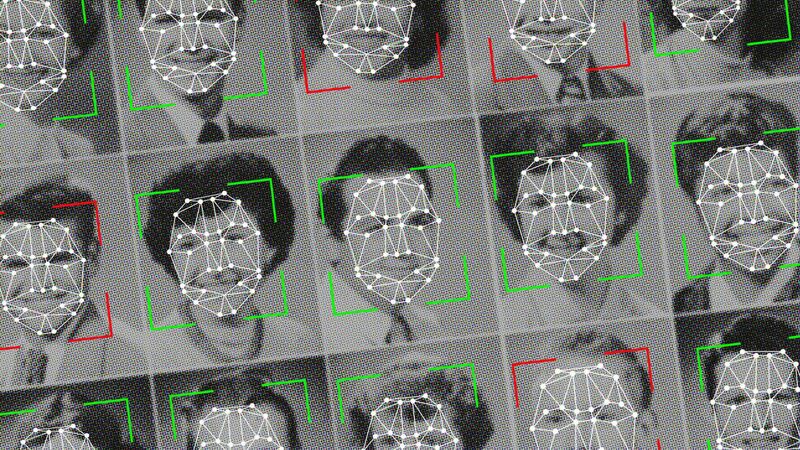 The other side: "Jennifer Lynch, senior staff attorney with the Electronic Frontier Foundation, a digital rights group, said any school considering facial recognition must consider who will have access to data, how such a system would be managed and whether students can opt out." [Clockwise from top left]: "A gendarme (L) spraying tear gas... during a farmers' protest who attempted to block the stage's route... Great Britain's Geraint Thomas... tries to clear his stinging eyes after tear gas was used... France's Julian Alaphilippe... celebrating as he crosses the finish line to win the stage... Gendarmes detaining a protester..."
Trump launched the day by calling tariffs "the greatest." The White House then unveiled a $12 billion aid package for farmers affected by the trade war. Republicans weren't thrilled. About 51% of American voters believe "the Russian government has compromising information" on Trump, according to a Quinnipiac University poll. By the numbers. Apple says it has found a bug causing its latest MacBook Pros to deliver lower-than-expected performance, but says a software fix being released today should fix the issue. Go deeper. Scoop: Two former Uber executives are quietly operating an investor syndicate to invest in startups led by their former colleagues, Axios' Dan Primack has learned. Ivanka Trump is closing her namesake fashion brand. Quote. Matt Lauer is fighting with New Zealand's government over public access into a national park via a gravel road through his 16,000-acre, $9 million property on the South Island. In his first interview since being fired for sexual misconduct, Lauer told Radio New Zealand his scandal has made him "an easy mark." Go deeper ... And photos. "The fictional secretary of state of CBS' Madam Secretary will turn to three former real-life holders of the post when the show begins its fifth season," the Hollywood Reporter's Rick Porter reports. "Hillary Clinton, Colin Powell and Madeleine Albright will appear as themselves in the episode, set to air Sunday, Oct. 7." EP Lori McCreary, "Having three powerhouses of diplomacy agree to come on our show is awe-inspiring and humbling. And that we were able to find a time in their busy schedules when they were all available is a miracle." "In the episode, Secretary of State Elizabeth McCord (Tea Leoni) asks Albright, Powell and Clinton for advice on a delicate matter."